Although we do not have cemetery records or gravestone transcriptions online at this time, we do have several resources available to assist you in your family research. Please find below a description of the primary and secondary resources that may provide the information you need. Additional material will be posted when available. Please review the "Requesting Information" section below carefully. A search engine for the site is available on the main page. The earliest cemetery records have been lost, but Oakwood Cemetery does have burial records from the late 19th century to the present. Some of these records were put on microfilm by the Church of the Latter Day Saints and may be available through one of their Family Research Centers. Two reels of microfilm are available for use at the Bell Memorial Library in Nunda. There is also a map that labels most of the plots in all sections by the surname of the owner(s).In addition, a transcription was made of the cemetery in 1905 which includes stones found at that time. Contact Merlilee Walker, Oakwood Cemetery Association Secretary/Treasurer, for more information regarding the cemetery's records. any transcriptions and stories that have been submitted are found on the Oakwood Folks and Families page. a list of known veterans was done by the Friends of Nunda Cemeteries and local students from Keshequa Central School. This list can be found through this link. the Livingston County Historian's Office has a cemetery survey done in the 1930s by the Daughter's of the American Revolution. A link to the Office's website is found on our link page. Other historical resources available are listed on the Reference Desk page of the Nunda Historical Society's website. Volunteers from the Oakwood Cemetery Association and the Friends of Nunda Cemeteries are happy help you with your family research at Oakwood Cemetery. There is no charge for reasonable requests, but donations to either the Oakwood Cemetery Association or the Friends of Nunda Cemeteries are greatly appreciated. 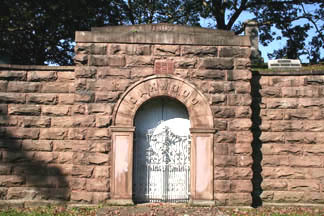 All donations received will be used toward the restoration and preservation of Oakwood Cemetery. 1. Please be as specific as possible with your request. (For example: Instead of "Please send me anything you have on any Greenmans in your cemetery", your request should be "Please send me the location of the grave of Orlando Greenman, as well as a transcription or photograph of his gravestone. In addition, if there are other family members buried in the same location, please transcribe or photograph those stones." 2. 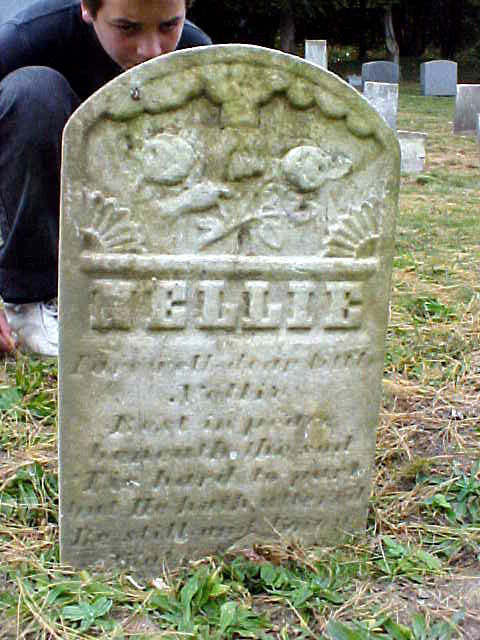 Include any information which may help us locate the grave. A date of death is extremely helpful, as is a full name. Approximate dates are better than none at all! 3. Be sure to include your contact information. You can mail request to Oakwood Cemetery Association, PO Box 242, Nunda NY 14517 or email Merilee Walker or Tom Cook.